CONTEMPORARY CHIC: Eclectic lines, sunken door and drawer pulls, and natural oak color is fashion fabulous with home décor styles from casual to sophisticated! PREMIUM VENEER FINISH: Combination of natural oak and natural oak veneer, this desk is both beautiful and durable, resistant to scratches, water rings, stains, and fading from UV rays. 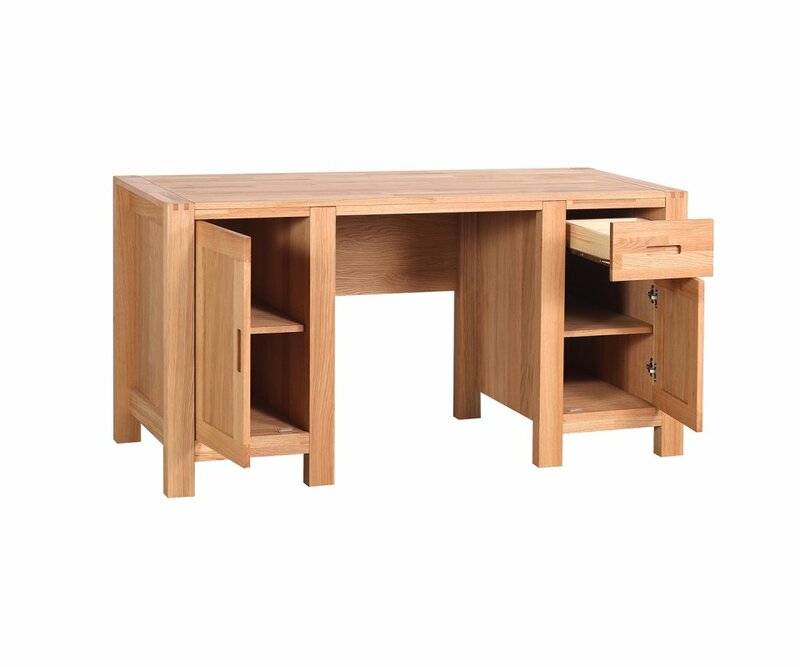 BUILT TO LAST: Made from top-grade particleboard core, with heavy-duty hardware, this desk is built to be sturdy and long-lasting for years! ORGANIZED STORAGE: Two shelves on one side, and a drawer and two shelves on the other, provide spots to store files, office supplies, and other essentials for your workspace! PARISOT QUALITY: Parisot of France is known for over 80 years of quality furniture manufacture, and has won the Green Way award for eco-friendly manufacturing practices! At 59” long, RoomSmart’s Ethan desk is designed to fit into smaller home offices or family room areas, while providing ample storage of everything you need at your workspace. Its eclectic style, with natural oak color and sunken drawer and door pulls, is modern and sophisticated, and blends with most home décor styles and color schemes. The natural oak finish is premium-grade, both beautiful and durable, and resistant to scratches, water rings or stains, and fading from UV rays. The core is top-grade particleboard with heavy-duty hardware, giving you a sturdy, long-lasting surface for your work area. 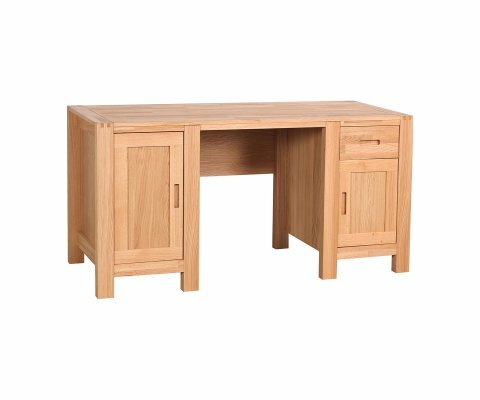 The Ethan desk has two cabinets with two shelves in each side, and one drawer to store all your home office essentials. It is designed and manufactured by Parisot of France, so you can be assured that you are getting a top-quality product that is also environmentally friendly and safe for your home! 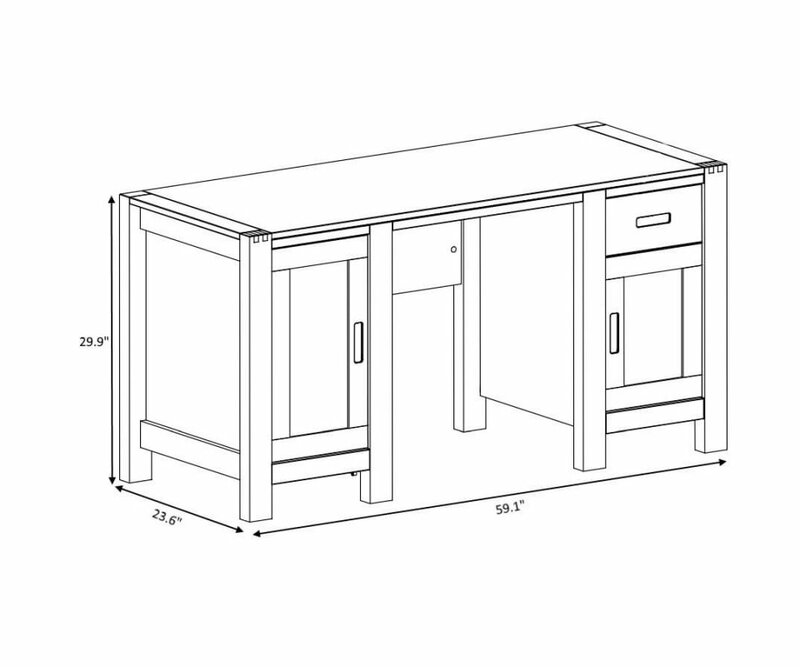 You will love adding this desk to your home office!